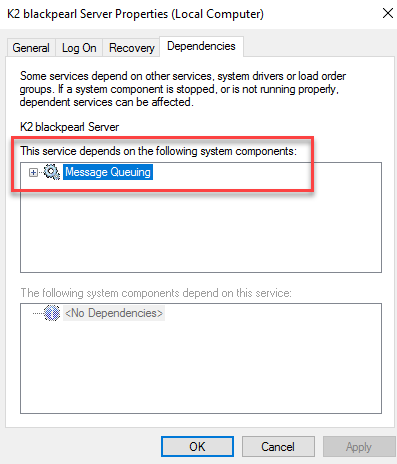 MSMQ component is a prerequisite for K2 and it seems that all you need to do covered in K2 documentation: Installation and Configuration Guide > Prepare > Supporting Components Configuration > Message Queuing (MSMQ). 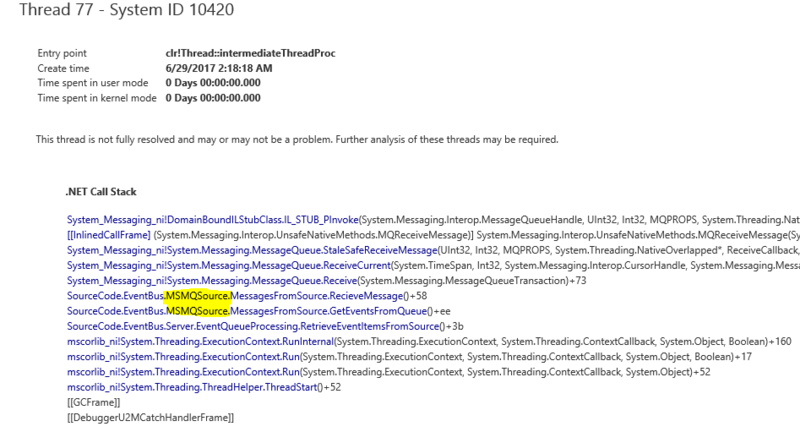 As an example of functionality which will be impacted by this issue I can mention task notification emails as those have to be queued in MSMQ before being picked up by the Eventbus. Yet information there was not sufficient, and required me to do some prolonged troubleshooting and googling. But the thing is that MSFT documentation does not highlight root cause which I found either and only some old obscure blog post lead me in the right direction. For WHAT & WHY parts K2 documentation elegantly refers you to MSFT TechNet. There you have to navigate and do a bit of careful reading to find out that setting permissions in AD DS required before installing Directory Service Integration Features of Message Queuing (why not start with this in K2 documentation?). MSFT KB says that special permissions have to be set IF you installing Directory Service Integration feature of Message Queuing on a domain controller (we can safely ignore this as we need to install feature on K2 server and we won’t be installing K2 on domain controller, except for “all-in-one” test box scenario). Next MSFT KB says that you have to grant the Network Service account the Create MSMQ Configuration Objects permission to the computer object in AD DS before installing the Directory Services Integration feature on a computer that is a domain controller. So all in all according to MSFT KB you only need to set permissions in case you installing MSMQ Directory integration on DC. So no need for extra permissions, right? There are some required permissions but normally they are in place by default. 1. K2 requires MSMQ Server and MSMQ Directory Service Integration components to be installed. DS integration improves security as it enables publishing queue properties to AD, authentication and encryption of messages using certificates registered in the directory. NOTE: this is only applicable for “all-in-one” test servers where you may want K2 to coexist on the same machine with DC. This is not applicable for production deployments where K2 runs on the dedicated AD DS member server. 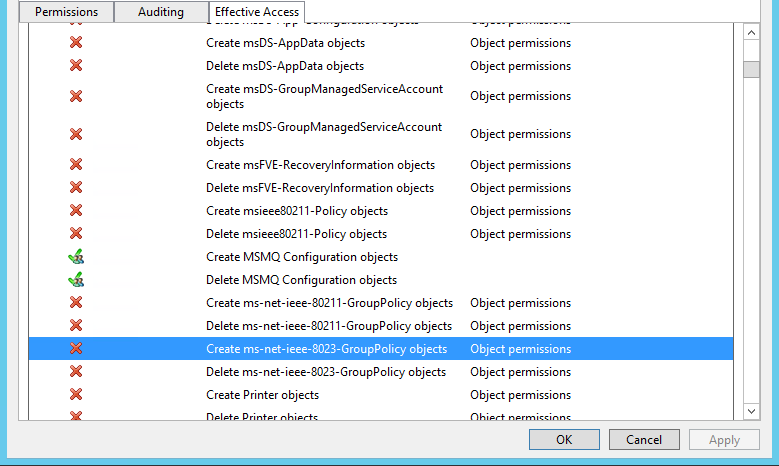 NOTE: (1) My tests show me that it is sufficient to apply these permissions to “This objects only”, but you should understand that enabling disabling Directory Service Integration feature requires restart of the machine, so it seems it is all about rights at the point of installation and first reboot after it to create MSMQ objects correctly – I noticed that if I delete MSMQ objects, revoke rights and even reboot the machine Workgroup flag keep staying set to 0, but reinstalling MSMQ feature reveals this problem again. Granting rights sometimes work on the fly without reinstalling MSMQ – just restart the service. 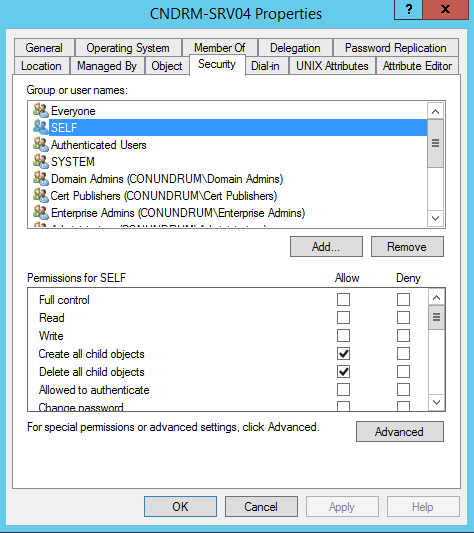 (2) These advanced permissions may become messy way to quickly as you inherit them from your domain and then each time you click on Add button separate ACL entry is being created for your computer object, so watch out for explicit Deny settings overriding your Allow grants. 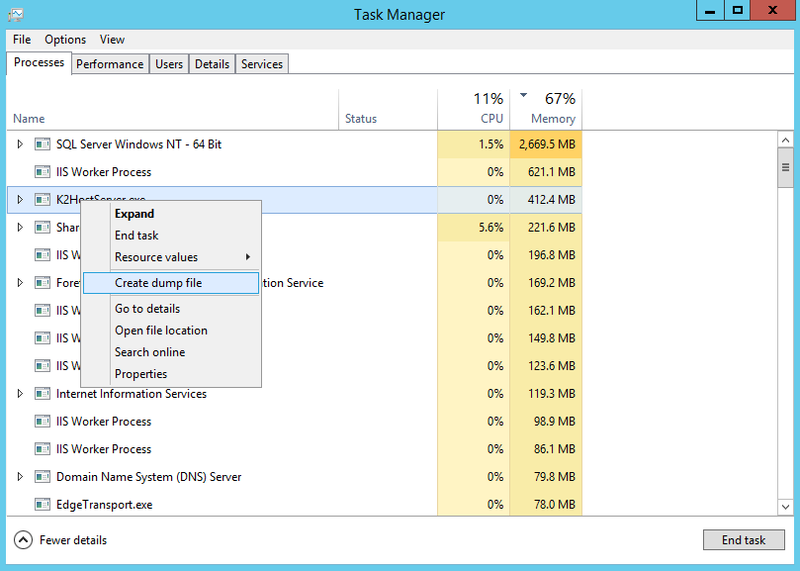 (3) As usual monitor Administrative Events view in Event Viewer and watch out for MSMQ related errors – it should be able to tell you what’s wrong. 4. When installing K2 on standalone servers (not joined to domain) or in cases when you unable to make Directory Service Integration work you can consider using workgroup mode and private queues. Though if latter is the case it is much better investigate and resolve your Directory Service Integration issue. Hope this article will save someone some time which may be wasted on troubleshooting this. 5. Retry the MSMQ installation, it should now succeed. This entry was posted in AD DS, K2, Tech and tagged Directory Service Integration, K2, K2 blackpearl, MSMQ on February 5, 2017 by Mikhail. 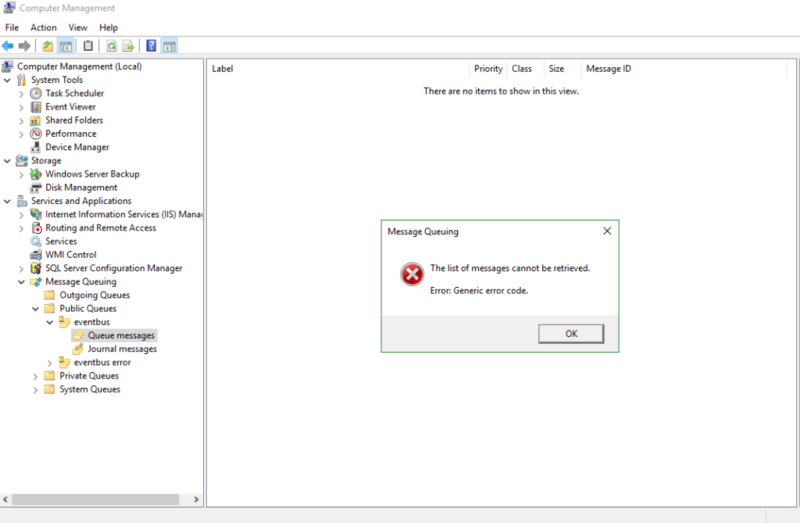 Microsoft Message Queuing or MSMQ is a message queue implementation developed by Microsoft and deployed in its Windows Server operating systems since Windows NT 4 and Windows 95. MSMQ is essentially a messaging protocol that allows applications running on separate servers/processes to communicate in a failsafe manner. A queue is a temporary storage location from which messages can be sent and received reliably, as and when conditions permit. This enables communication across networks and between computers, running Windows, which may not always be connected. By contrast, sockets and other network protocols assume that direct connections always exist. Surprisingly enough you not only have to have required MSMQ components installed but also you have to have them in a working state. 🙂 For example MSMQ is a requirement for working Notification Events which provide the functionality to notify via e-mail when specific events are executed on servers, implementing a custom event record. The queuing of events is processed using MSMQ. 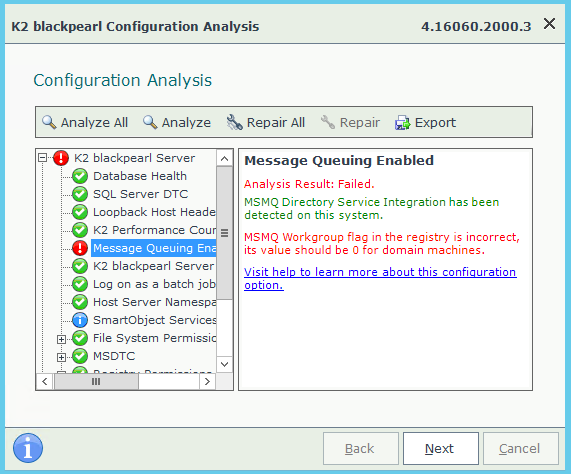 Transactional queue’s are received from the client recorder to be persisted to the Event database. The Event database receives events from the Queuing System (MSMQ) and saves event mappings to the database for processing. (see details here). Both Notification Events and E-mail Events in K2 are depending on MSMQ. 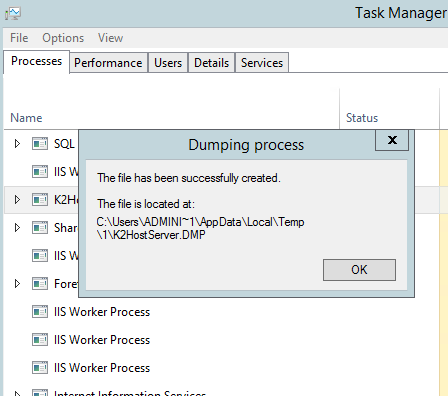 1) Delete all the checkpoint files, as well as the QMLog file in the Message Queuing storage directory (%windir%\system32\msmq\storage, see Message Queuing Message and Data Files for details). This can result in some messages being duplicated. However, this resolution will get the service running as soon as possible and usually without data loss. registry hive and there locate LogDataCreated parameter and ensure that its value is set to 0. 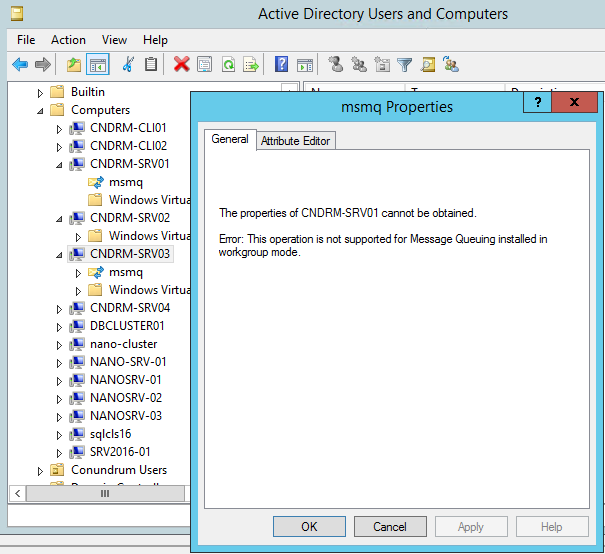 3) Try to start Message Queuing service – it should work now. 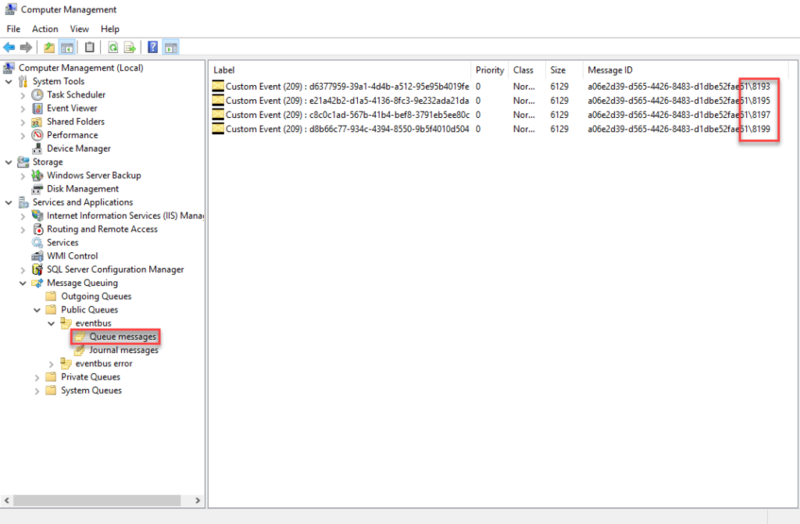 While working on this I also noticed that strange/confusing issue when MSMQ is installed on Windows Server 2008 R2 box but no relevant management node/snap-in was available in Server Manager but this is a separate issue worth separate investigation (some relevant reading is here and here), but probably just re-registering the MQSNAP.DLL can fix this. This entry was posted in K2, Tech and tagged E-mail Events, K2, MQSNAP.DLL, MSMQ, Notification Events on February 20, 2016 by Mikhail.